How many townhouses and assisted living communities does Tredyffrin Township need (or want)? Can the T/E School District accommodate the increase in student population? You may recall the abandoned Jimmy Duffy property on Lancaster Avenue in Berwyn and the subsequent construction of Daylesford Crossing, an assisted living facility on the site. The approval for Daylesford Crossing was a long, drawn out redevelopment process in 2012 that required a text amendment to permit senior living facilities as a by-right use in C-1 (commercial) zoning. Some argued at the time that the zoning change to permit senior living in C-1 was ‘spot-zoning’ to accommodate this specific project and others questioned what this would mean for future C-1 development in Tredyffrin Township. In 2015, the township expanded the C-1 District zoning to also include townhouses as a by-right use. During the last few years, developers have flocked to the township with their assisted living and townhouse, apartment and condominium plans. Assisted living projects currently under construction or in the review process include Erickson Living at Atwater Crossing in Malvern (250 beds) and Brightview Senior Living on E. Conestoga in Devon (196 beds). 644-704 Lancaster Avenue: redevelopment of Devon Shopping Center to include reconfiguration of retail with addition of apartments above. Areas that were once farmland continue to be developed. Top ranking school district, T/E brings an influx of people to the area which means an influx of students, and the growing problem of finding a place to put them. With an award-winning school district and a premium placed on land, developers know that their profit margins are greater with the multi-family development projects. But what is the price tag to the community and its residents for this economic development? In addition to the housing projects above, there’s a new proposed land development plan in the works that is extremely troubling – townhouses on Howellville Road. The proposal is to wedge a cluster of 20 townhouses, in four buildings, between the village of Howellville and the shadow of the Refuge Pentecostal Church. The village of Howellville in Tredyffrin is an historic township village, dating to the early 1700s. A pleasant symmetry and cottage appearance, five mid-eighteenth century buildings remain in the village and are located very close to Howellville Road, which was common at that time. 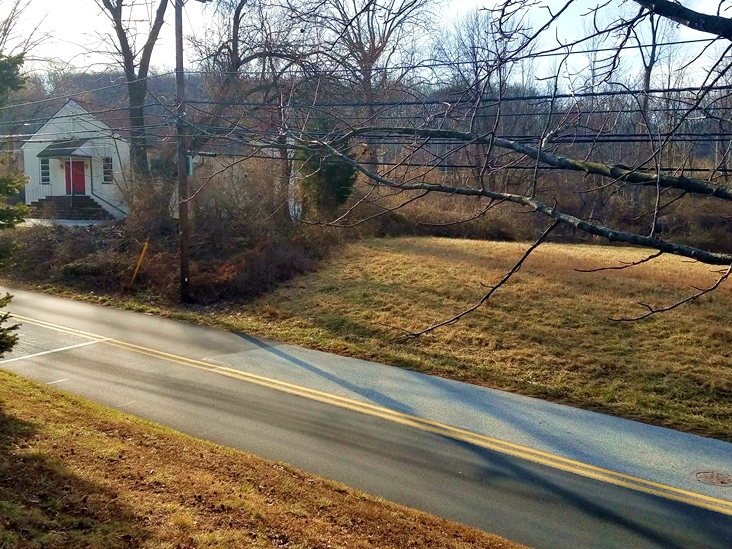 Howellville Road contributes to the rural character of the community and any new development should be of such character and location as to complement the existing built environment. The proposed land development plan on Howellville Road is not compatible with the character and appearance of the area. Beyond the impact of traffic on Howellville Road, the proposed development plan creates serious safety concerns. 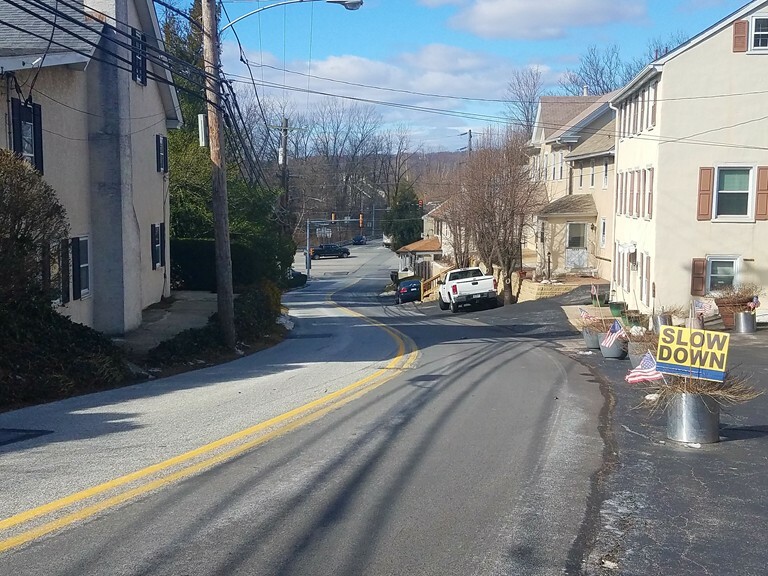 The steep narrow winding nature of Howellville Road makes entry and exit from the proposed dense townhouse project a dangerous situation. Benson Company’s proposed townhouse project on Howellville Road will change the look and character of this community as well as place a greater burden on the narrow, winding road – and again more students for the school district! John Benson of Benson Company has enthusiastically offered that his proposed Howellville Road townhouses will look like his Grey’s Lane townhouses on Lancaster Ave. A couple of things – (1) Grey’s Lane is on Rt. 30, a commercial 4-lane road vs. Howellville Road, a rural country road and (2) he squeezed 12 townhouses in at Grey’s Lane in 3 buildings where as this proposal is for 4 buildings with 20 townhouses. Each time one of these townhouse developers comes to the township for approval, we are told that there will be little impact on the traffic because the target audience is retirees. The developers design master bedrooms on the ground floor of the town home plans; claiming that buyers are “empty-nesters” and not families with children. Based on traffic in the area and the increasing student enrollment, I question that argument. 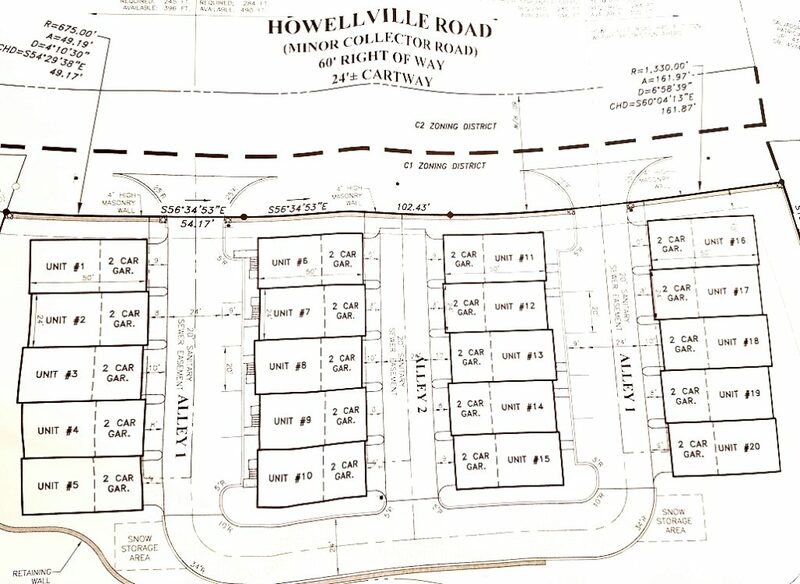 The Howellville Road townhouse plan is on the Planning Commission agenda for Thursday, February 16, 7 PM at the township building as is the Chestnut Road multi-family apartment building in Paoli. Areas that were once farmland continue to be developed. Between the assisted living communities and the townhouses and apartments, should the objective in Tredyffrin Township be to approve any and all land development projects regardless of the impact? Brightview Senior Living approved without township notification to Homestead Road neighbors of the project! Just as land development projects are not created equal, neither are neighbors oppositions to these projects. You may recall the abandoned Duffy property on Lancaster Avenue in Berwyn and the subsequent construction of Daylesford Crossing, an assisted living facility on the site. Daylesford Crossing was a long, drawn out redevelopment process that required approving a text amendment to permit senior living facilities as a by-right use in C-1 (commercial) zoning. Some argued at the time that the zoning change to permit senior living in C-1 was ‘spot-zoning’ to accommodate this specific project and others questioned what this would mean for future C-1 development in Tredyffrin Township. Although there was major push-back from the Daylesford neighbors to the assisted living facility, the project was completed in 2015 and with the developer providing concessions to the immediate residents in the way of lighting, traffic flow, landscape buffering, etc. Daylesford Crossing was a turbulent situation with residual effects that some claim cost Michelle Kichline her reelection bid to the Board of Supervisors in 2014. Now fast forward to Brightview Senior Living, a recently approved senior living land development project on E. Conestoga Rd. in Strafford. The project is located behind Devon Whole Foods, across from Nudy’s and next to the one-way underpass. (This is a very congested area, especially at lunchtime on that small section of E. Conestoga Road off of Lancaster Avenue). Brightview Senior Living first surfaced of the Tredyffrin Township’s Planning Commission in April 2015. 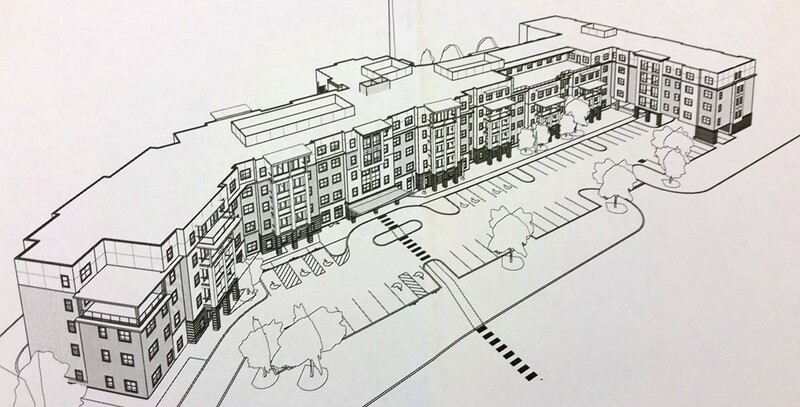 There was a preliminary discussion and sketch plan of an assisted living facility on properties located at 293, 301, 309 and 319 E. Conestoga Road – all in in the C-1 (Commercial) district. The facility was described as having a range of care and services, and “would consist of approximately 143 apartments (including independent/assisted living and dementia care).” There was no mention of length, width or height of building in the meeting minutes. We next see Brightview Senior Living on the Zoning Hearing Board (ZHB) agenda in August 2015. The developer sought a variance to decrease required parking spots and increase the building height (from 4 floors to 5 floors). When asked if Homestead Road neighbors had been notified of the proposed project, David Holland (VP of Development for Brightview) responded that yes, neighbors received letter of introduction but that he had not heard back from anyone. In a recent email exchange between myself and Mr. Holland, he provided a copy of the draft introduction letter and a list of 8 Homestead homeowners that he said received the letter in April 2015. A review of the notification list sent to residents from the township regarding the Zoning Hearing Board meetings indicates no Homestead Road names/addresses. The Brightview Senior Living land development application was presented to the Planning Commission on January 21, 2016. At that meeting, we learned that the building would be 5-story and 196 beds. (The sketch plan discussion of April 2015 mentioned 143 apartments). As was the case for the ZHB meeting, the township’s list for notification for the Planning Commission meeting on the Brightview Senior Living project did not include names/addresses of Homestead Road residents. The size and scope of this senior living facility is massive – In Tredyffrin, C-1 commercial zoning limits the building length to 160 ft. The Brightview building is 450+ ft., approximately three times the legal limit of C-1 buildings permitted in Tredyffrin. Tory Snyder, the Planning Commission chair raised concern over the overall length of the building. Other concerns included safety, parking, etc. With all the questions/concerns from the Planning Commissioners, you could assume a long process for the developer with input from the community and ultimately a scaled down final version. On April 21, the Brightview Senior Living project was back in front of the Planning Commission seeking preliminary and final land development approval. The applicant presented a laundry list of waivers, all of which were unanimously approved with the exception of the length of the building. Again Ms. Snyder commented on the size of the building (450+ft. versus the 160 ft. legally permitted in C-1) but she represented the sole dissenting vote and that waiver too was passed. In the end, the Planning Commission voted unanimously (6-0) to grant both Preliminary and Final land development approval for the gigantic 450+ft, five-story, 55-ft high building totally 181,000 sq. ft. on E. Conestoga. (As a reference point, Daylesford Crossing on Lancaster Ave. is approx. 80,000 sq. ft.) And again, the residents living on Homestead Road were not on the township’s notification list for the Planning Commission meeting. Per the requirements of Section 208-147 Notice of Public Hearing, E When the Zoning Hearing Board shall so order, by mailing notice thereof to the owner if his residence is known or to the occupier of every lot on the same street within 500 feet of the lot or building in question and of every lot not on the same street within 150 feet of said lot or building. Failure to give the notice required by this subsection shall not invalidate any action taken by the Board. The Township met the obligation of this section of the Code. Additionally, while there are no requirements for neighbor notification for Planning Commission applications but as a courtesy the Township followed the same requirement for the ZHB notices and sent notifications. So … what does all this mean? It basically means that although the township could/should notify property owners on Homestead Road that live 150 ft. from the proposed development, they don’t have to legally! Using Chester County mapping tools available on www.chesco.org website, Ray Clarke measured that several neighboring Homestead Road properties are in the 150 ft. range from the Brightview property. Interestingly, these same Homestead Road residents have told me that they are routinely notified by the township of projects at the Devon Whole Foods shopping center and on Lancaster Ave — which are located much further away than Homestead Road properties than the Brightview project. There’s no way for us to know whether the lack of township notification to Homestead Road residents was an oversight or deliberate. Or is it possible that some in the township didn’t want to see a repeat performance of neighborhood input on this project as was seen on the Daylesford Crossing project? In the end the result is the same – the Homestead Road neighbors were not given a voice in the process. Brightview Senior Living is nearly 2-1/2 times the square footage size of Daylesford Crossing with twice the number of beds. The building will be located in a very congested commercial area on E. Conestoga Road, directly next to a one-way underpass and the Homestead Road neighbors were not part of the discussion! Amazing! For the supervisors and township staff, I suggest an internal review of property owner notifications procedures on land development projects so that something similar doesn’t happen again. There needs to be strictly enforced guidelines for property owner notifications by the township, not randomly choosing when to notify. In the case of the Brightview project, lack of notification to Homestead Road residents and therefore, lack of input int the process, has many in the neighborhood worried about their future property values. The Homestead Road residents were entitled to have a voice in this process. And there should be concern that the approval of the over sized building now will set precedent for future C-1 projects in the township. What can be done at this point? As I see it, the outcome in this land development project is not the fault of the developer. The Brightview Senior Living developer reached for the moon and the stars and received it from Tredyffrin Township! However, In my communication with David Holland of Brightview, I found him to be straightforward and sincere, so I am hopeful that an appeal to him by the Homestead Road neighbors may bring some concessions for them in the way of landscape buffering, exterior lighting, etc. I have seen photos of Homestead Road backyards and during the fall/winter months – this new 5-story building will forever change their backyard viewscapes. I suggest a meeting of Homestead neighbors with representatives from Brightview Senior Living, township staff and a couple of interested supervisors – although the project has received final approval from the township’s Planning Commission, maybe there is still some goodwill concessions that can be given to the neighbors.